Banh Mi Vietnamese sandwiches are SO good!! 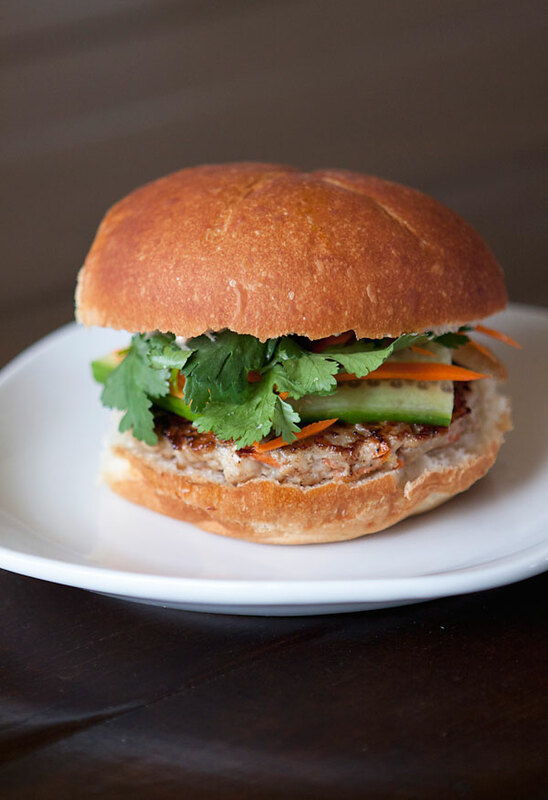 So, I decided to try my hand at making a burger version of the popular Banh Mi sandwich. And, I believe I have succeeded. With BBQ season underway, these twist on the traditional burger might just be the next thing to cook up at your next cook out! Mix 1/4 cup mayo with a few squirts of hot spiracha sauce for some spicy mayo, set aside. In a medium bowl, combine all the ingredients well, and form into patties. Grilled over the barbecue or pan fry about 2-3 minutes per side, or until the pork patty is cooked all the way through. Serve over kaiser roll buns, spread with spicy mayo, and add shredded carrots to the top, sliced cucumber and fresh cilantro.